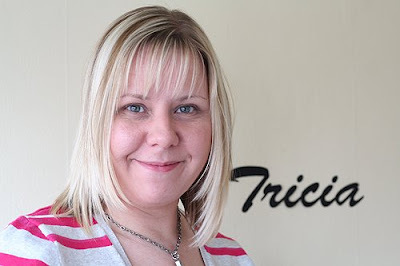 I have been a busy little bee tonight - I have been helping Kirsty from UKS redesign her blog! It took me a while to do mine last week but once I worked out what I was doing it's pretty easy...(LOL, yeah, it's always easy when you know how!) 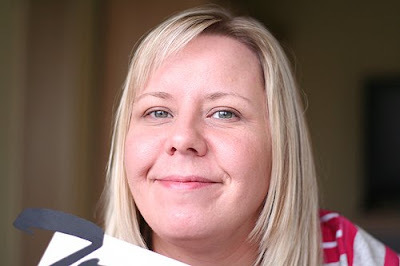 have a look at Kirsty's blog here and see what you think - I used the Bear Necessities kit from Nitwit Collections to make the blog banner with, as Kirsty is a fan of bears! More Outdoors For Your Money! 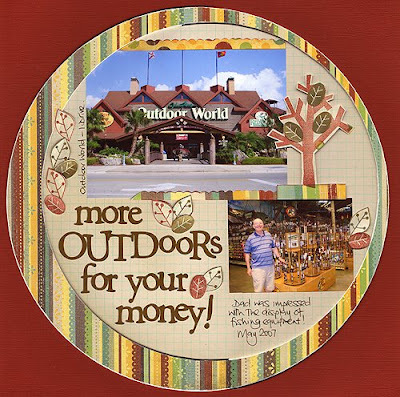 Yep, there is definately more outdoors for your money at Outdoor World! It's a bit difficult to convey the size of the place unless you have been, but I don't think there is anything connected to the outdoors- shootin', huntin' and fishin'! - that you can't buy here. Definately a shop for the boys! I finished this LO last night - but couldn't think of a title without resorting to something cheesy like "Laugh" or "Smile" - how many LO's must I already have with those titles! So in the end I just went with a "J" for Jessica. I took this picture last year, it was a lovely photo of Jessica but the background in the original was a bit distracting to say the least! 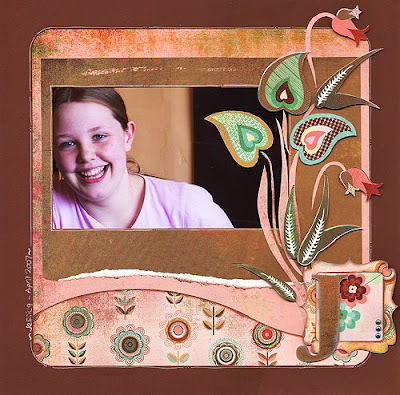 I was inspired by a LO by Kelly Goree in the 2 Peas gallery for this one. Pulled a couple of old sheets of paper out of the stash pile for this LO - SEI Penelopes Potpourri and Aunt Gertie's Garden (where do they get the names from!). Spent ages cutting the flowers out and doodling outlines on them, then completely changing my mind about the entire LO and changing it to end up with this one, which I actually quite like! The pic shows my Mum and my neice Georgina at Mum's birthday party last year. Once Georgina got hold of that cake she wasn't letting go for anyone! Number 2 came very close to being picked! Numbers 3 & 4- I changed locations and went up to the bedroom. 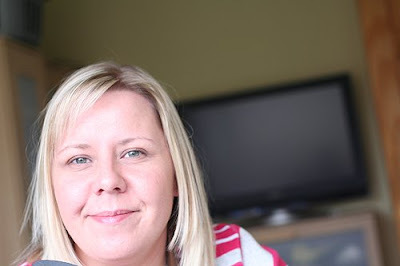 This is me sat on the bed, facing the window, camera on gorillapod on the window ledge. I know these are totally overexposed but I actually really like them! 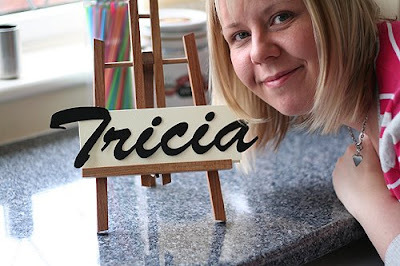 If I had managed to get my name in the shot I think one of these would have been it! Then I started messing about with mirror shots (after I had cleaned the mirror and got rid of all the stuff on top of the chest of drawers behind me) Which wasn't going to badly till SOMEBODY wanted to come and join in! And then I couldn't take a decent picture for laughing. 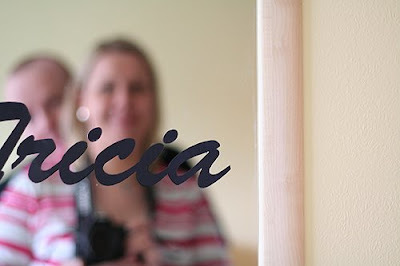 So the one I finally decided on was the next one - again, sat on the bed, camera on window ledge, but this time I actually managed to get my name in the shot! Phew! Thank goodness that is over with! 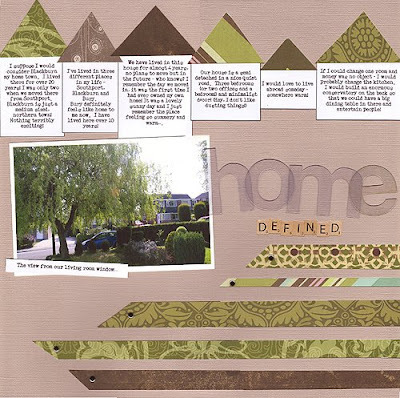 Here's the layout I created from todays prompt for No Place Like Home (crikey, think I will just put NPLH from now on. You'll know what I mean, won't you?). I am (hopefully!) 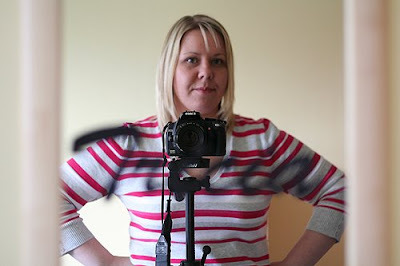 going to be a busy girl for a few weeks as I am not only participating in Shimelles online class There's No Place Like Home but I have also signed up to Cheryl Johnsons Painting With Light photography workshop! 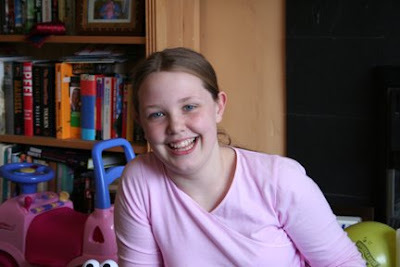 We have received our first class prompt today from Shimelle, so I need to go and jot a few ideas down about that, and I also have some homework to do for PWL - I need to take a self portrait (oh no!) and find some photo's as part of my portfolio. I'm really looking forward to both of these classes! Another little bloggy revamp - thought I would have a new blog header, courtesy of Rachelle Anne Miller, who does the most gorgeous illustrations...trouble was that there were sooo many to choose from! 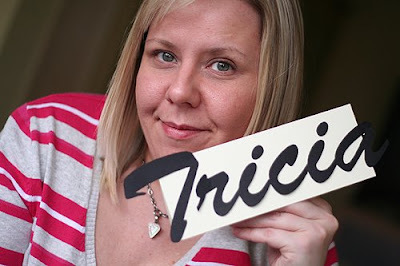 I can see that I may be changing the banner weekly for a while! 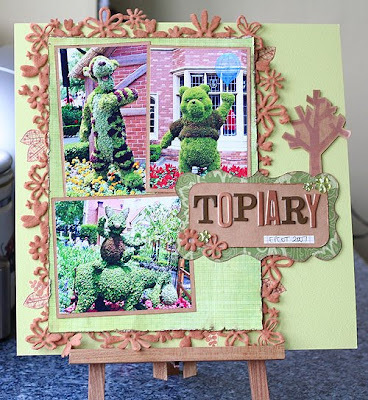 Here's one I did for Banana Frog - I have just posted this layout on the blog, you can see all the details here. ...you try to sign in to Blogger using your work email address and password. D'oh! And then stare at the screen for a good minute wondering why, WHY is it telling you that your password is wrong, when clearly it isn't....oooops. Anyway, I got in eventually! And here's a LO to share with you. 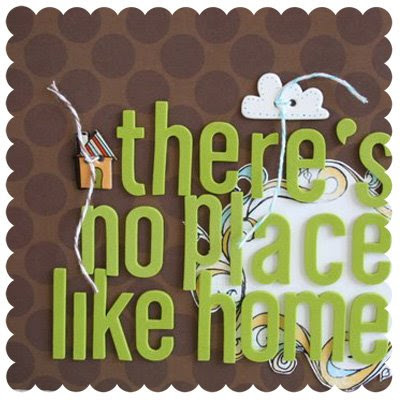 Have used Scenic Route and Rusty Pickle papers, Queen & Co felt ribbon (lots of! 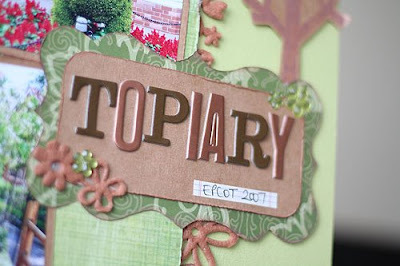 ), Heidi Swapp chipboard letters, bling and tree stamp from the March Scrapagogo kit. 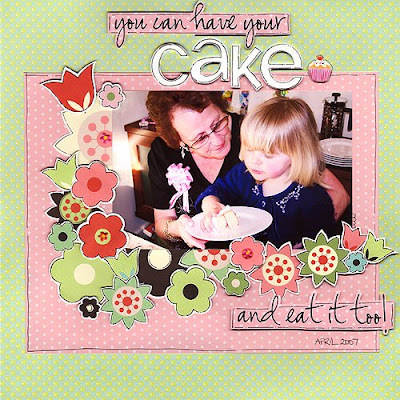 The label is from a digital kit by Jennifer Pebbles which I traced and cut with the Craft Robo. Got a few LO's to share....have been quite busy this week, scrapping wise! First up, was inspired to do this after an episode of Ashes to Ashes, when Keeley Hawes was explaining how she knew someone, and quoted the Human League lyrics. 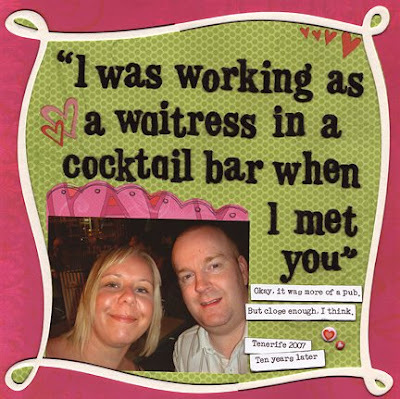 I thought hey, that works for me and hubby, so I scrapped it! 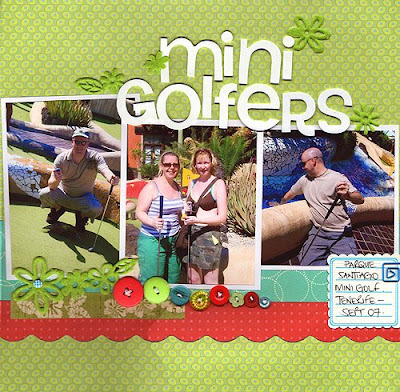 Next, another Tenerife layout, showing one of our favourite holiday pastimes - the mini golf tournament! We played almost every day I think, I can't remember who the ultimate champion was now! 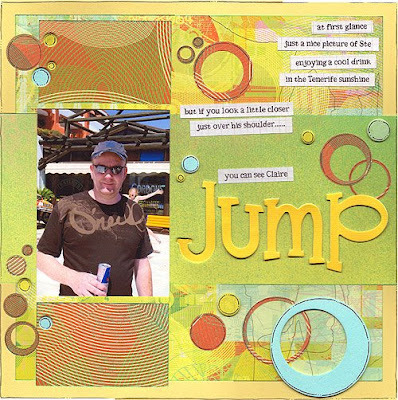 And then heres one that I did yesterday - again, its a Tenerife pic, but it really makes me giggle, the way that you can just see Claire jumping out from behind Ste's shoulder! I used Basic Grey Obscure papers, Chip Chatter alpha and some Technique Tuesday chipboard circles. 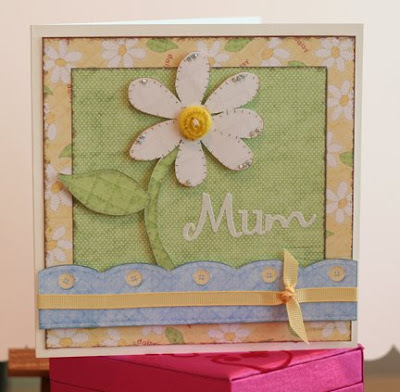 Just a quickie to share the card I made for Mothers Day last week - I was inspired by the lovely hybrid cards on this blog and this is what I came up with! 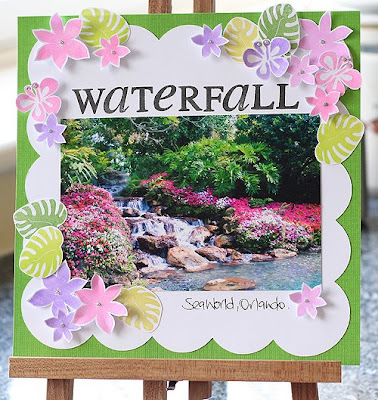 I used the Waddles and Whimsy kit from Nitwit Collections, there are some gorgeous digital kits on that site, can't believe I have never seen them before! I cut the flower and border from the kit on the Craft Robo and mounted them on little foam pads to make them stand out a bit, and finished it off with a bit of ribbon and some little sparkly gems. The letters were Making Memories glitter alpha stickers.